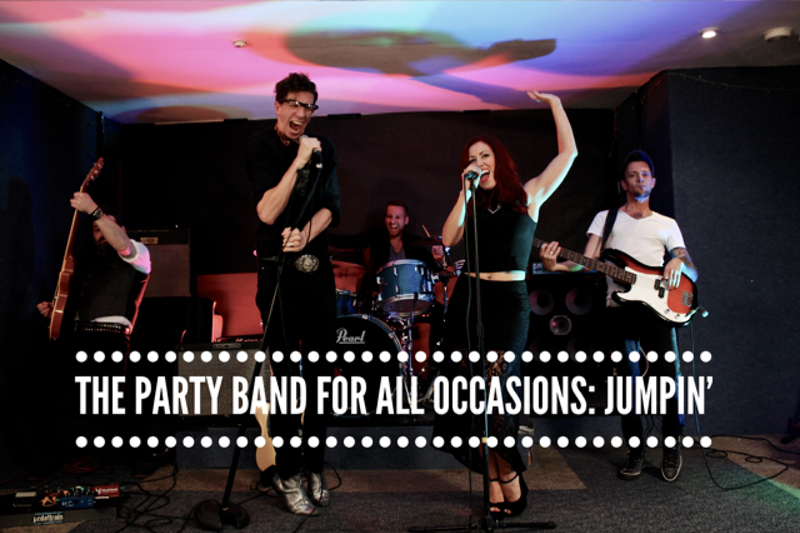 For a wedding, Christmas party or even a spectacular corporate function and birthday party, Jumpin is the perfect live band to bring lots of fun and energy to all special occasions. Available in a 4, 5 or 6-piece format to suit any budget, Jumpin put on an incredible 2 hour show that’s guaranteed to get your guests up and dancing in a matter of seconds. The full Jumpin line up comprises of a male and female lead vocal, lead guitar, bass and drums with options to add a brass section for an extra entertainment boost. The band have such a huge repertoire of songs, covering the best dance, soul, rock and pop songs from the 60s to present day, that no one will be left off the dance floor. The members of Jumpin aren’t just your average musicians either, they have an authentic, professional edge, having worked and performed alongside top artists such as Celine Dion, Amy Winehouse and Lady Gaga and bands including Busted, McFly and The Stranglers. They’d also make the perfect addition to any festival-style wedding or event because they’re used to appearing on the stages at Glastonbury, Hyde Park and Wembley Stadium. Every wedding or party is made even more memorable when Jumpin play, because they make the whole experience so effortless. A first dance can easily be bought to life by the live band and with enough notice a special song can be learnt and performed for the occasion - just make sure to let us know during the booking process. When it comes to corporate events and Christmas parties, Jumpin have entertained top companies like Tesco, British Airways, Sony Music and L’Oreal. They don’t just stick to performing in the UK either, Jumpin are ready to fly to any country across the globe for your function too. It doesn’t matter how big or small your party is, when you book Jumpin you’re guaranteed an astounding show. To make things easier for you, Jumpin also supply a full PA and lighting rig and can provide music during breaks between performances free of charge, or they can arrange a DJ service available for an additional fee. For a quick and bespoke quote tailored to hire Jumpin for your wedding, corporate event or party, simply contact us via email or phone 0800 0343232. To find out all the performance requirements, read our 'Help and Advice' section or our friendly booking team can send over an easy to follow information sheet. Check out Jumpin's live performance video to see them in action!